We have 5 meal ideas for your family table! This week we are continuing our monthly feature of "Cook Once, Eat Twice"! Last week we made some great taco salads after cooking stuffed peppers. 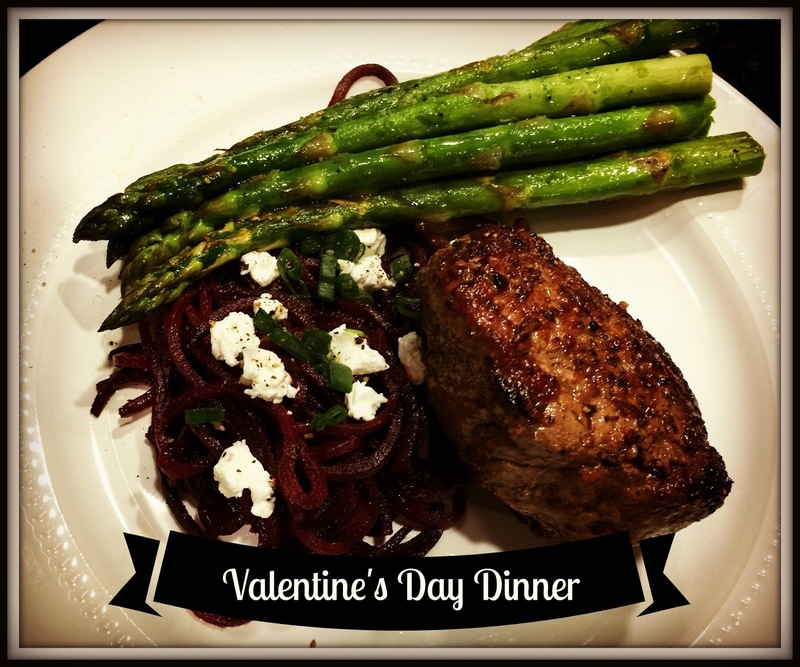 This week we will transform our fancy Valentine's meal into a delicious salad! And speaking of Valentine's day, last week we shared some ideas on making Valentine's meals fun for the kids. If you missed it, you can catch up here. Grab you pen and pad and write your grocery list! 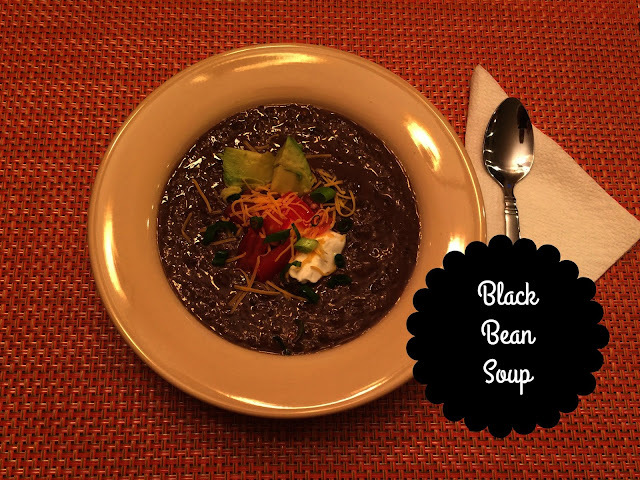 It's Monday....keeping it simple with our hearty Black Bean Soup. 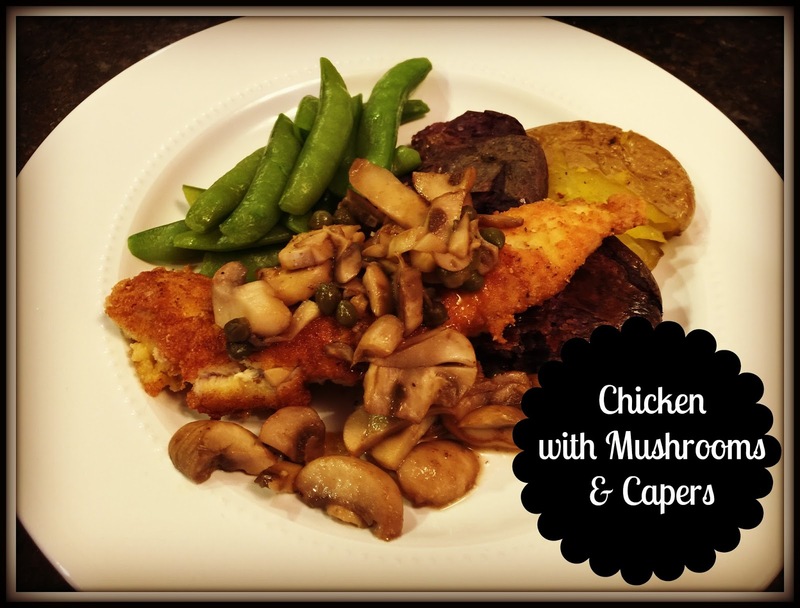 You can grab the recipe here. We like to pair ours with some chicken & cheese quesadillas. I like to make a fancy dinner for holidays like Valentine's Day. I would much rather be home with my loves than dealing with the hustle & bustle of a crowded restaurant! We don't eat steak often, so a special night like this is perfect to have it! You can choose whichever cut you prefer and keep the seasoning simple, with just salt and pepper. Cook a few extra portions for tomorrow's salad. The steak would be great with some potatoes and asparagus. We paired this one with some amazing beet noodles! But these smashed potatoes are also a favorite in our house! That steak you grilled yesterday... it is going to be delicious on this salad. Top some grilled romaine with thinly sliced red onion, steak and some cheese... I love either goat cheese or blue cheese. I keep the dressing simple with a mix of balsamic vinegar and oil. 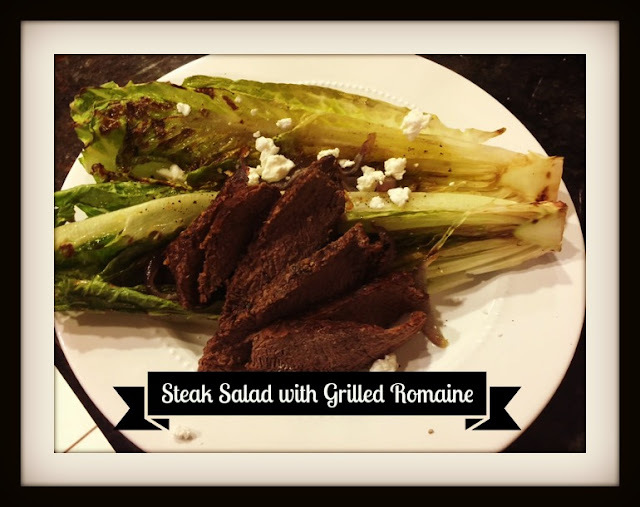 And grilled romaine is one of my most favorite things to eat and really takes your salad to a whole new level! Cut a romaine heart lengthwise, drizzle with EVOO and sprinkle with salt & pepper. Place them cut side down on the grill or grill pan (medium high heat) and grill for 3-5 minutes. When you start to see grill marks and some charring it's done. Seriously.....it is so good! Kid tip...kids don't like grilled lettuce? Don't grill it! They can still have a steak salad over cold romaine...my two like it with cucumbers, tomatoes and peppers. Breakfast for Dinner! Let's face it... sometimes the end of the week is crazy.....and well sometimes the beginning is too! Breakfast for dinner is a favorite every so often in our house. The kids just think it's the funniest thing to eat pancakes for dinner! 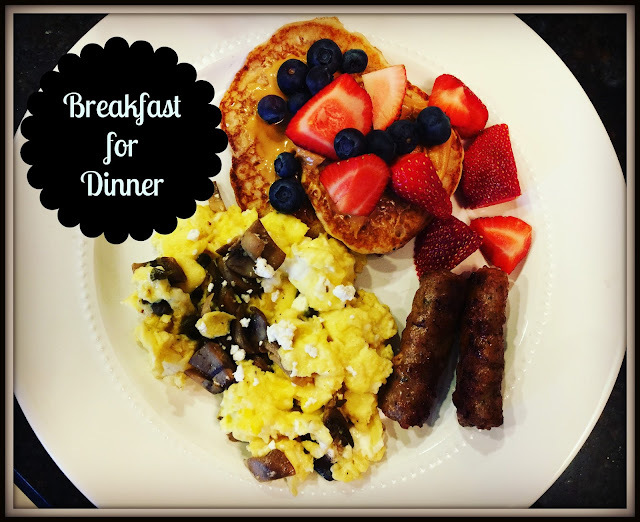 So make it an easy night in the kitchen and have breakfast for dinner! Have a great week friends! Hope to see you tomorrow for Show & Tell Tuesday...Show us your Loves. 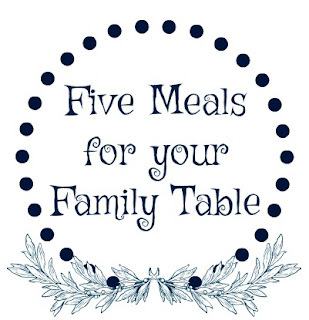 See you then....there's always room for one more at our family table.